The Mayan Astrology Sign B'atz is about life, destiny, and infinity. 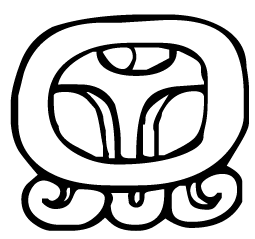 It is based on B'atz, the Mayan God of creation. The God B'atz created the earth and the sky, life and wisdom. He represents the 9 months it takes for a child to develop from conception to birth. The Day B'atz in the Mayan Calendar: This day-sign is the best day for marriage, starting projects, solving family problems, and to ask for good crops. Characteristics of the Mayan Astrology Sign B'atz: You are a great planner, easily able to see the bigger picture. You enjoy the arts – music, theater, sculpting, poetry, writing, you name it. You love being in nature. People are naturally drawn to you for help and advice. When it comes to your love life, you're quite picky. You know what you want, and won't settle for anything else. At times you might wonder if the person you want does exist, but when you do find him, you do whatever you can to make the relationship work. You are a hard worker which enables you to attain great success and a comfortable lifestyle. You are very organized and have the inner strength to make things work. It's important for you to remember to balance your desire to succeed and your ego. Your inner drive can be so strong that if you aren't careful, you can come off as overbearing and arrogant. You could do well as a doctor, and might have a natural affinity for alternative medicine. You could also find success in farming and in the arts.